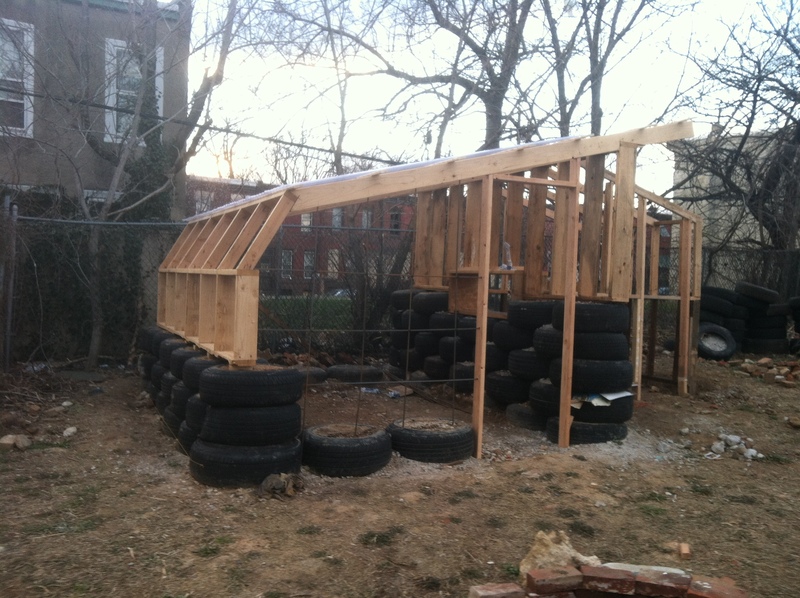 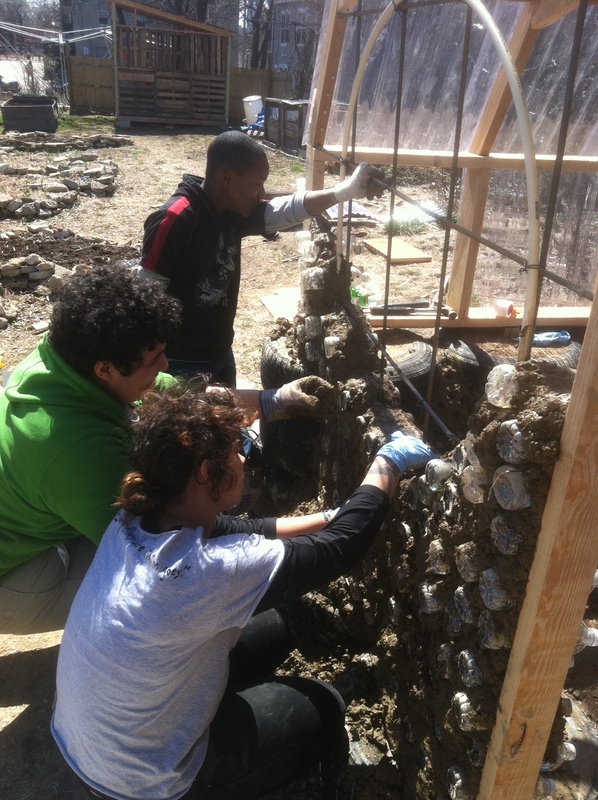 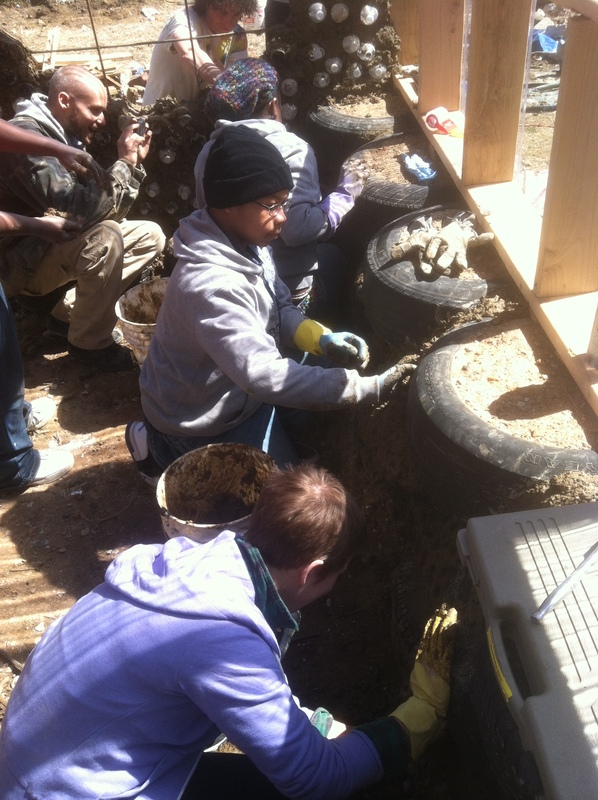 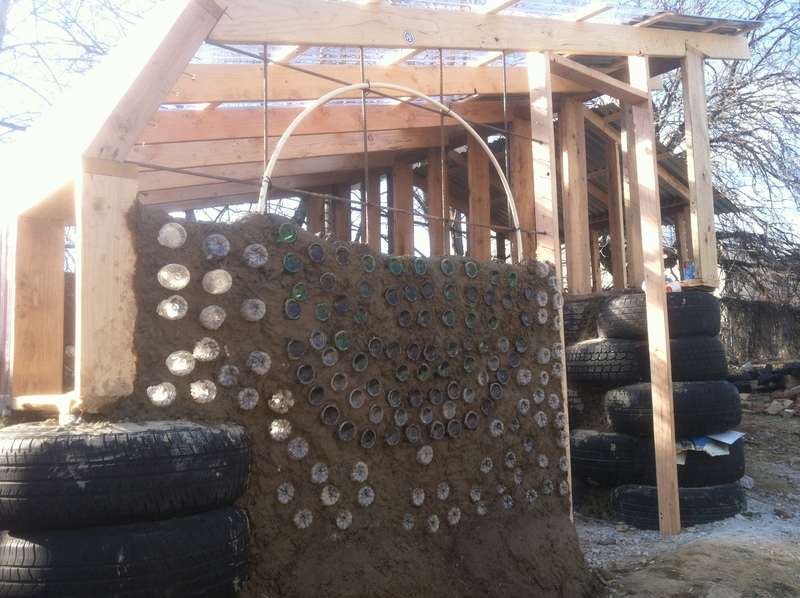 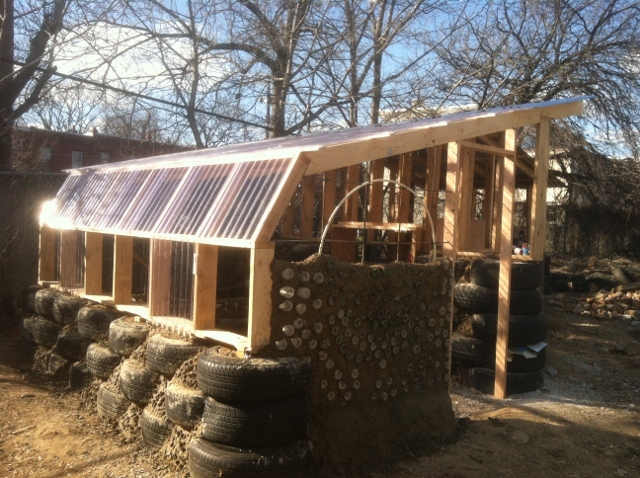 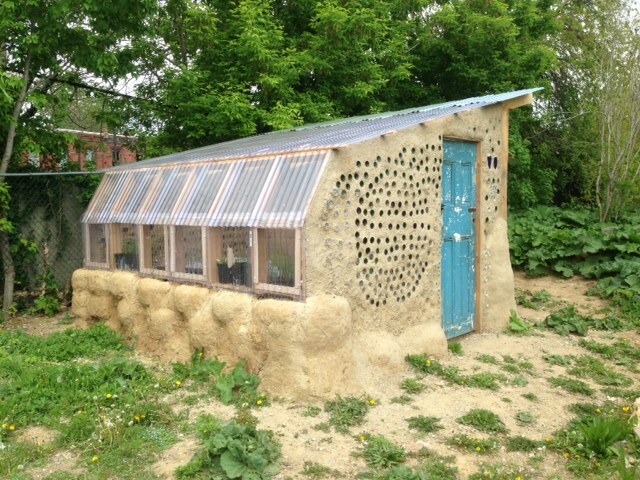 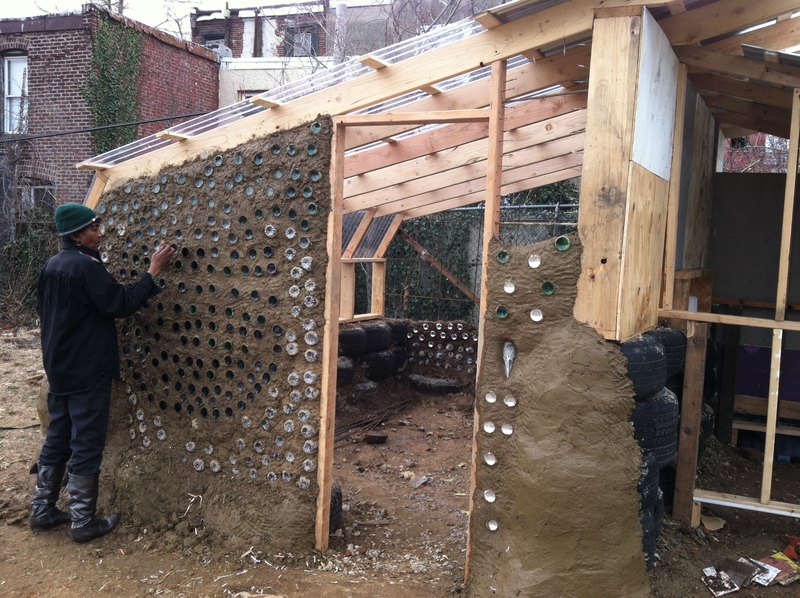 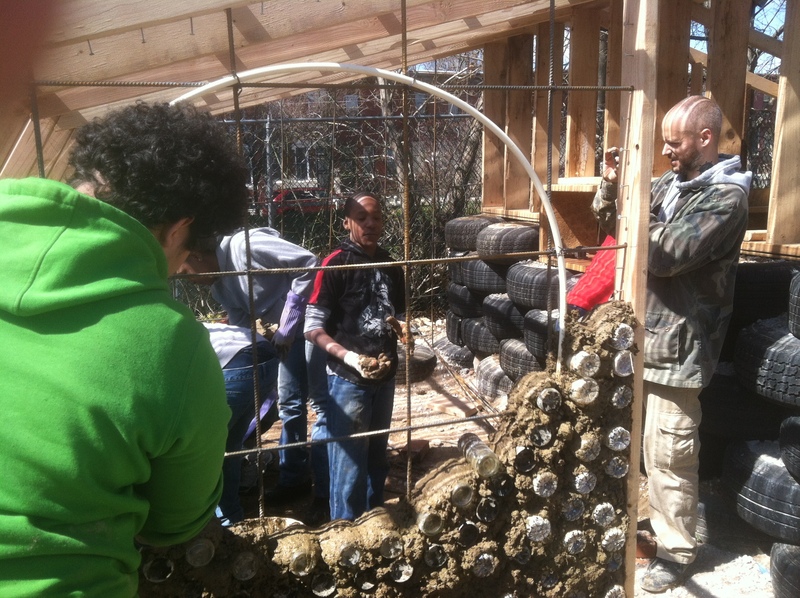 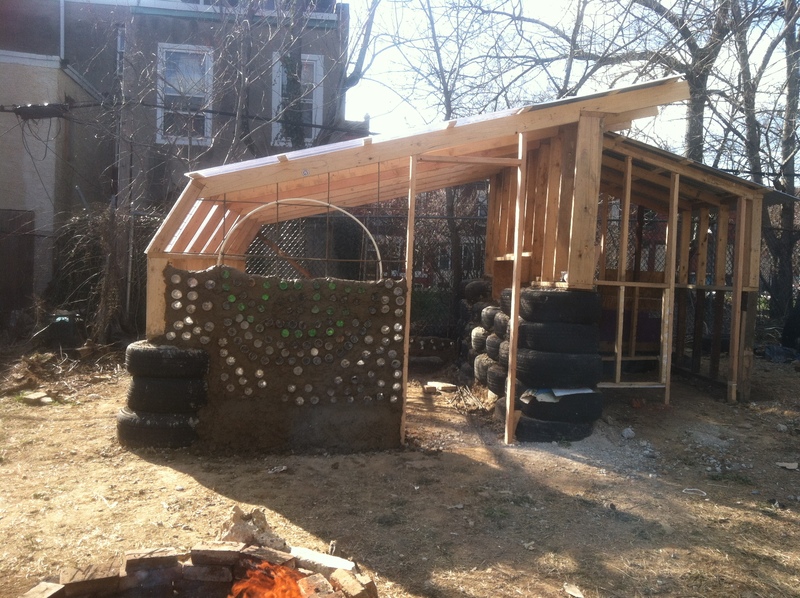 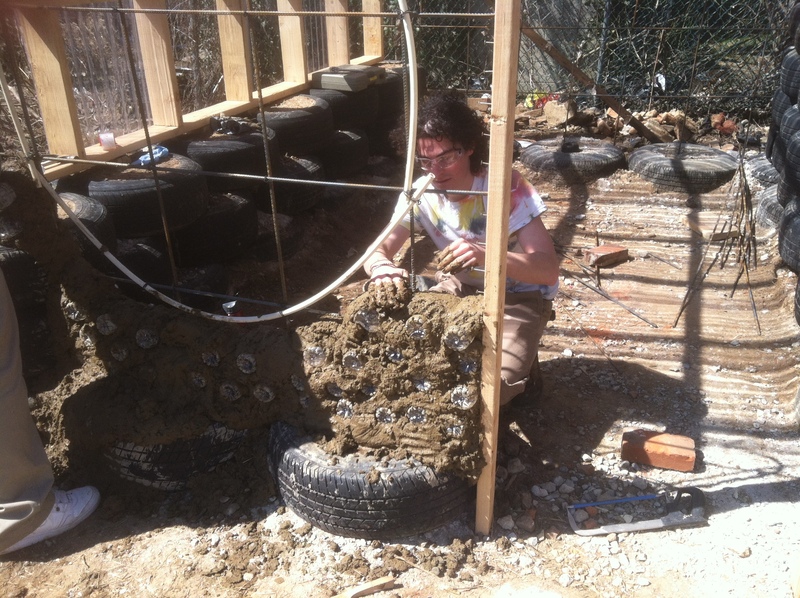 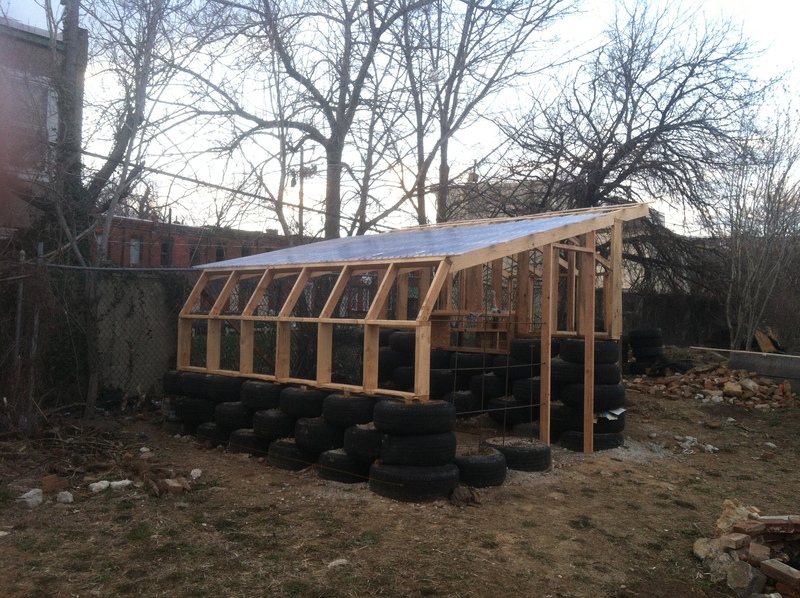 Applying the principles of Permaculture, PhillyEarth students worked hard to build this Earthship-inspired greenhouse/chicken coop. 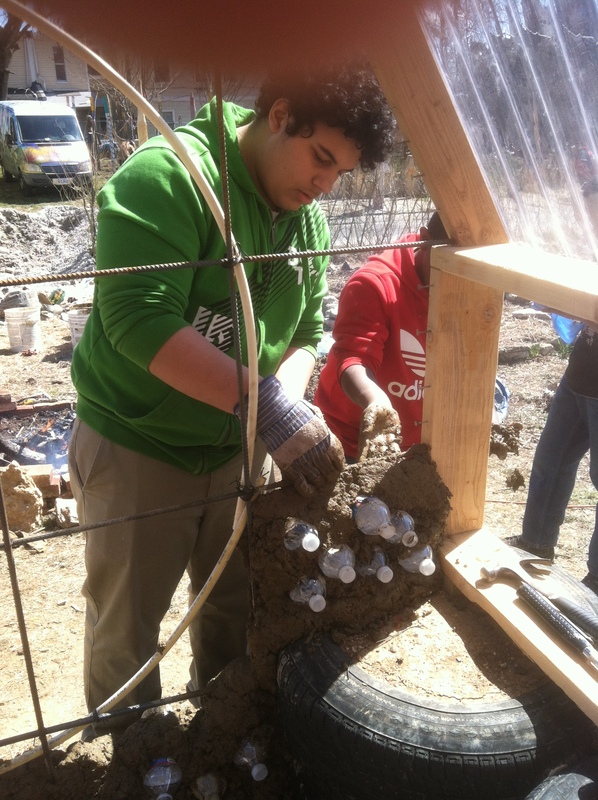 The entire structure has been constructed using materials indigenous to the urban environment. 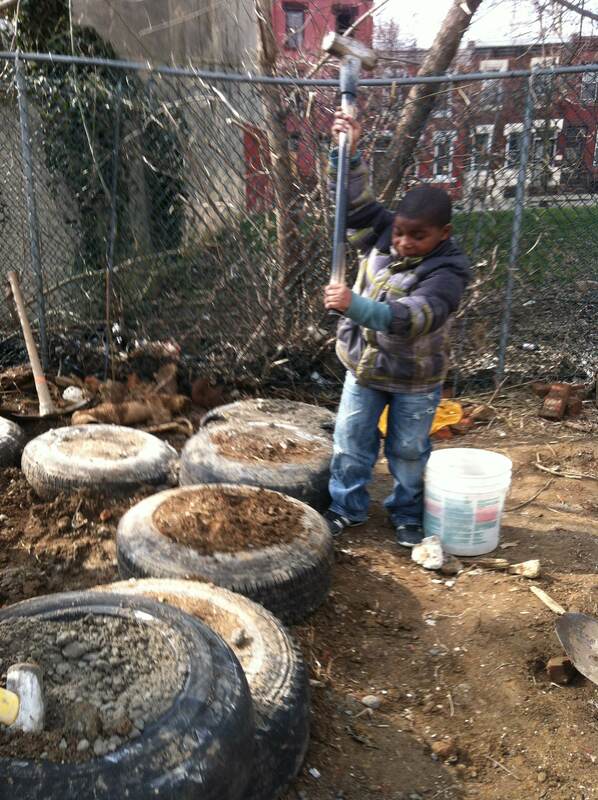 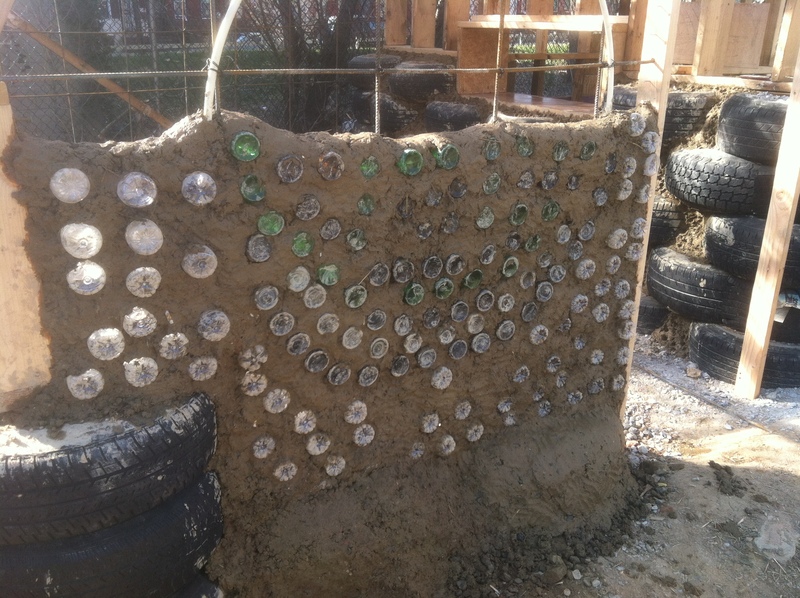 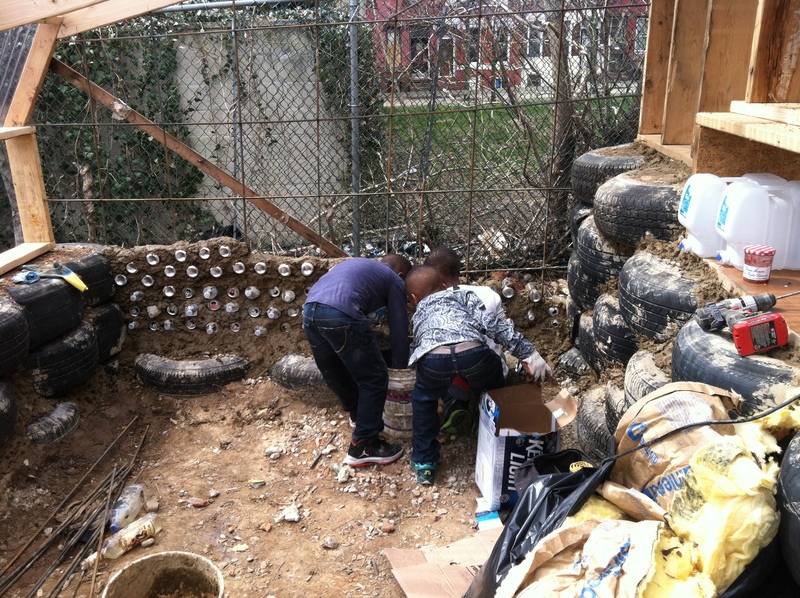 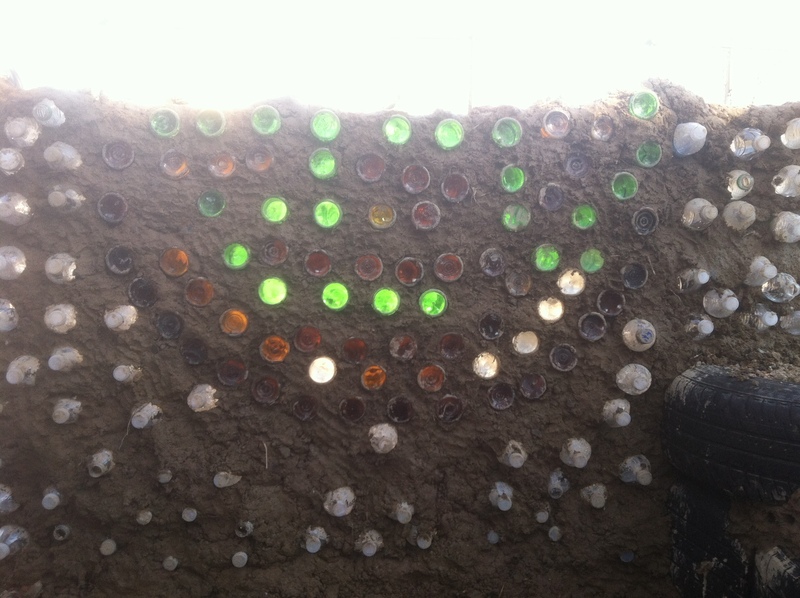 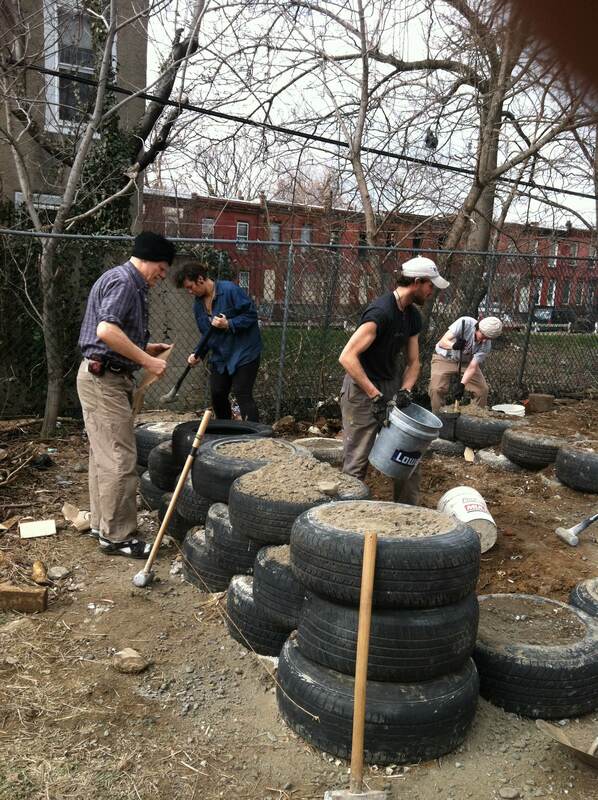 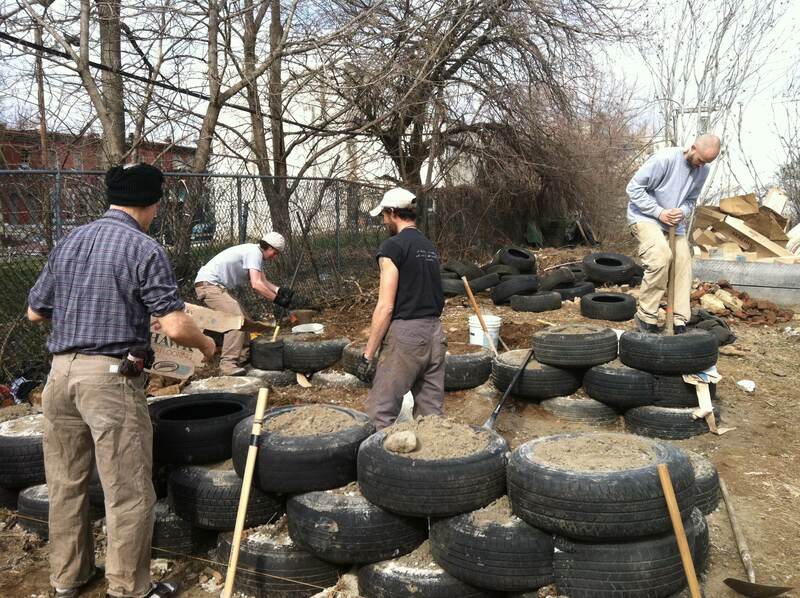 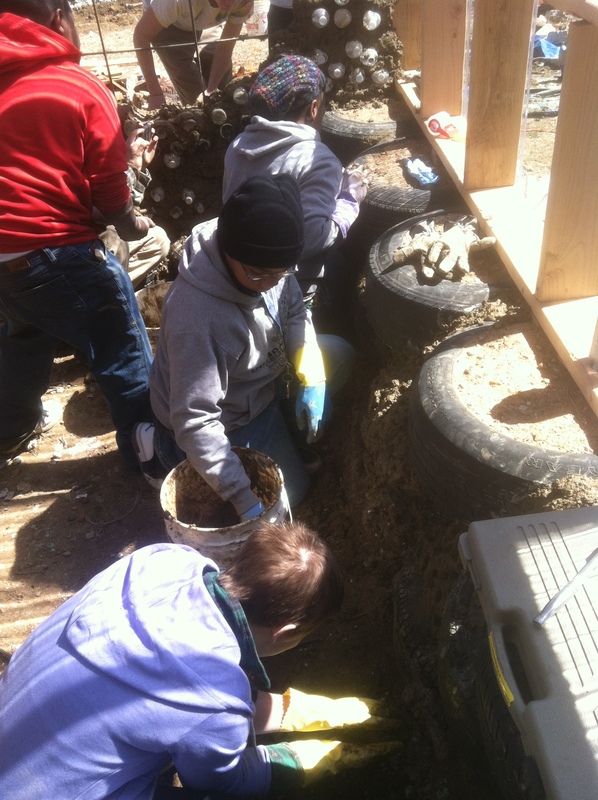 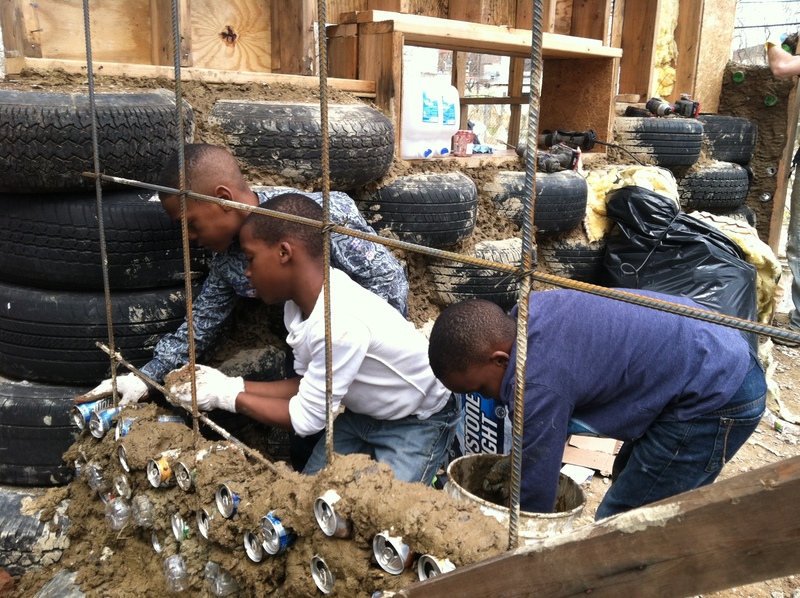 This includes materials like worn-out tires, concrete fill, bottles and cans, and shredded paper-based cob. 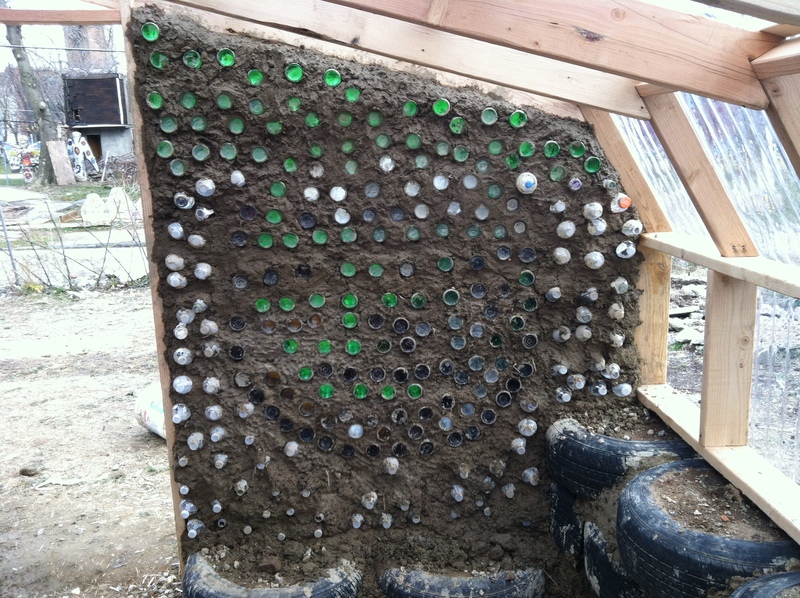 These materials constitute 80% of the total materials used. 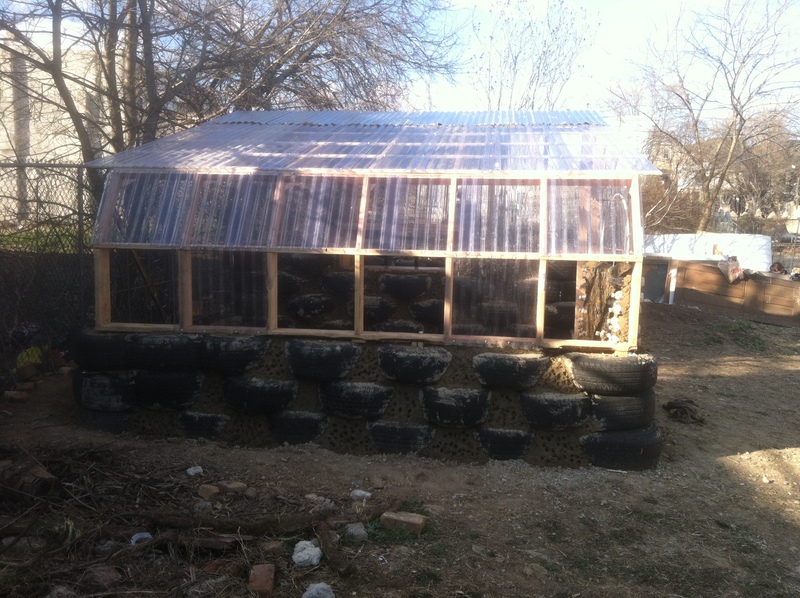 Of that 80%, all of it was salvaged/found and all free!